Select a card, write a message and tell us where its going. 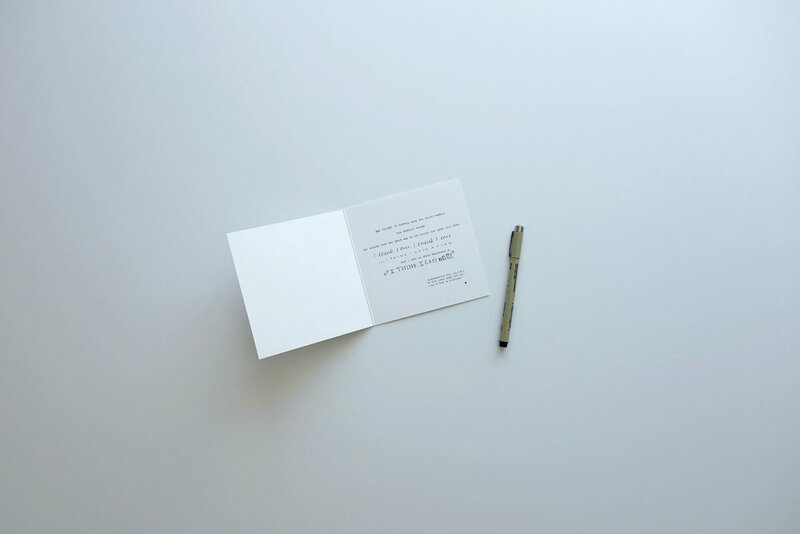 We'll handwrite your message in style and mail your card on your behalf. This service is restricted to destination addresses in Canada and the United States. Free shipping. 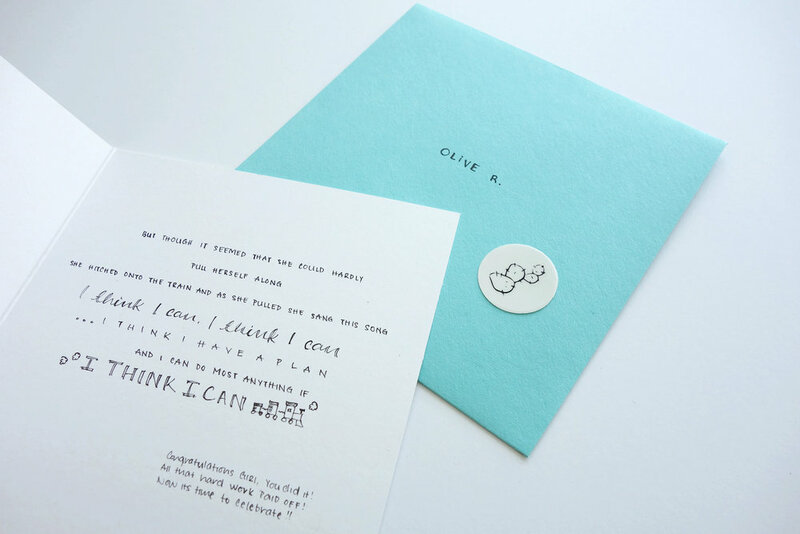 We handwrite your message on a card of your choice. Tell us about your design aesthetic. A direct delivery tag lets your recipient know the card is from you. Your card is paired with its matching envelope and sealed with a sticker of our logo. Your card is placed inside our custom sized rigid mailers. And addressed with the details you provide. A stamped illustration adds a touch of whimsy. Samples of the handwriting you can expect. Cursive is flowy and romantic. While print is a little cartoony. We also play with watercolours. The shorter your messages are, the more likely we paint with gradients and get creative with brush lettering.